Investigations in Mathematics Learning is published four times per year by Taylor and Francis. Details are included here. RCML seeks to stimulate, generate, coordinate, and disseminate research efforts designed to understand and/or influence factors that affect mathematics learning. Investigations in Mathematics Learning receives all manuscript submissions electronically via its Editorial Manager site. The maximum page limit is 25 double spaced pages (size 12 font) including references and 5 additional pages may be used for tables and figures. Editorial Manager allows for rapid submission of original and revised manuscripts, and facilitates the review process and internal communication between authors, editors, and reviewers via a web-based platform. Editorial Manager technical support can be accessed here. If you have any other requests, please contact the Editor-in-Chief, Drew Polly, at [email protected]. Manuscripts determined by the editor to be appropriate will be sent for review. These manuscripts will be judged for uniqueness, significance, accuracy, and potential for impact. Interested in reviewing for the journal? Go to the link below and enter the required information. Once you begin the process, you will be asked about your interest and expertise. These classifications are important to increase the likelihood of being asked to review the manuscripts on topics and methodologies that you are comfortable with. Thank you for serving RCML by being a journal reviewer. If you have questions please email Dr. Drew Polly ([email protected]). An individual membership in RCML for addresses within the United States is $40.00 per calendar year. An individual student membership in RCML for addresses within the United States is $34.00 per calendar year. Membership includes a subscription to Investigations in Mathematics Learning. For addresses outside the US, membership is $55.00 for an Academic Year. 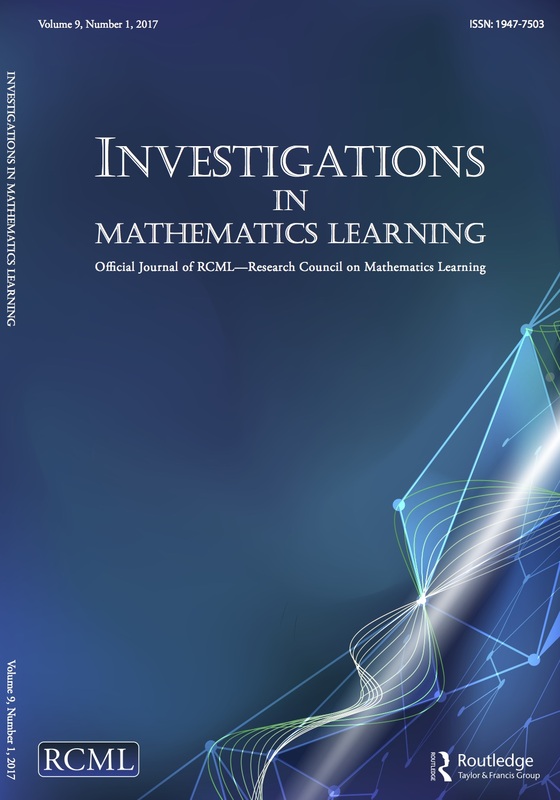 RCML’s Investigations in Mathematics Learning is published by Taylor and Francis. Please contact Taylor and Francis at [email protected] and their customer service will be happy to help you facilitate the subscription of the IML research journal. For information on obtaining additional copies of issues contact Dr. Gabriel Matney at [email protected]. 2019 Conference Proceedings now available! Go here to view hotel registration information.